Since 1977, Fiesta Tents has earned a reputation for quality products, superior workmanship and excellent customer service. 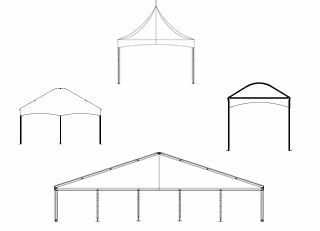 Fiesta Tents provides a wide variety of tent structures, party tent rentals, canopies, pole tents and clear span tents. All tents are manufactured with the highest quality standards for all kinds of events. We are always striving to produce, develop and provide the most innovative – yet very functional – temporary accommodation. The R & D team at Fiesta Tents’ modern manufacturing facility is constantly looking for new technologies and ways to improve our product line. Many event professionals rely on Fiesta Tents to cover their needs, and they appreciate our expertise, which has been proven by many years of successful tent events. When you choose Fiesta Tents, you will benefit from innovative designs, quality service and our dedication to providing superior solutions.